Tucked away in the highly desirable Colfax Meadows of Studio City lies this 1,616 Sqft condo in Carpenter School District. Get lost in paradise with lush landscape that covers the private complex and guides you to this serene 2 bed, 3 bath home with attached 2-car garage and large bonus area, perfect for a media room, office, studio, or play area! Enter into a spacious open floor plan with hardwood floors and recessed lighting. Natural lighting illuminates the home and creates a welcoming atmosphere. Cozy up next to the fireplace with gorgeous stonework in the sunken living room or get carried away with a good book and enjoy the sunny California weather in the roomy patio that is just adjacent. The generously sized formal dining room is ideal for hosting events! The tastefully designed kitchen contains an eye-catching backsplash, high end stainless steel appliances, and plentiful cabinet space. Upstairs is the exquisite master suite. Vaulted ceilings with exposed beams define this large room and create a bright and airy feel. A trendy barnyard door slides back to unveil the gorgeous all-white vanity and separate bathroom area. The 2nd bedroom does not disappoint and features recessed lighting, an impressive wall to wall mirrored closet and full bathroom. Topped off with a sparkling community pool & spa, moments to Ventura Blvd, and conveniently located near the 101 & 405 fwys, make this home your reality! Lot Size: 0.91 Acres / 39733 Sq. Ft.
SchoolsClick map icons below to view information for schools near 4222 Troost Avenue #24 Studio City, CA 91604. Listing provided courtesy of Dennis Chernov, Keller Williams Realty-Studio. 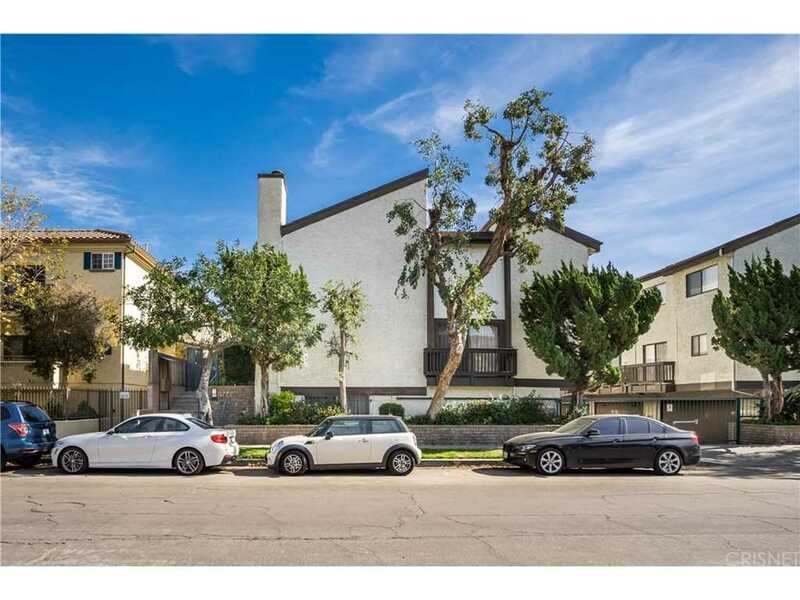 Home for sale at 4222 Troost Avenue #24 Studio City, CA 91604. Description: The home at 4222 Troost Avenue #24 Studio City, CA 91604 with the MLS Number SR19022288 is currently listed at $720,000 and has been on the Studio City market for 70 days. You are viewing the MLS property details of the home for sale at 4222 Troost Avenue #24 Studio City, CA 91604, which includes 2 bedrooms, 3 bathrooms and has approximately 1616 sq.ft. of living area.